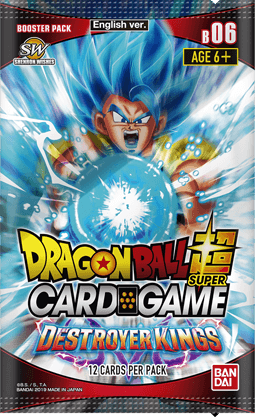 BOOSTER BOX DRAGON BALL SUPER CARD GAMEBooster Pack～DESTROYER KINGS～【DBS-B06】 Release date March 15 ,2019 Contents 1 Booster pack contains 12 cards each.1Box contains 24booster packs Rarity Total 227 cards60 Commons(normal or foil ver. )/30 Uncommons(normal or foil ver. )/18 Rares/11 Super Rares/11 Special Rares / 2 Secret Rares/5 Campaign Rares *Release date may vary by region. 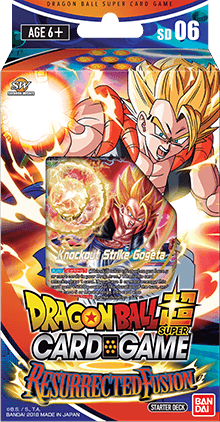 BOOSTER PACK DRAGON BALL SUPER CARD GAMEBooster Pack～DESTROYER KINGS～【DBS-B06】 Release date March 15 ,2019 Contents 1 Booster pack contains 12 cards each.1Box contains 24booster packs Rarity Total 227 cards60 Commons(normal or foil ver. )/30 Uncommons(normal or foil ver. )/18 Rares/11 Super Rares/11 Special Rares / 2 Secret Rares/5 Campaign Rares *Release date may vary by region. 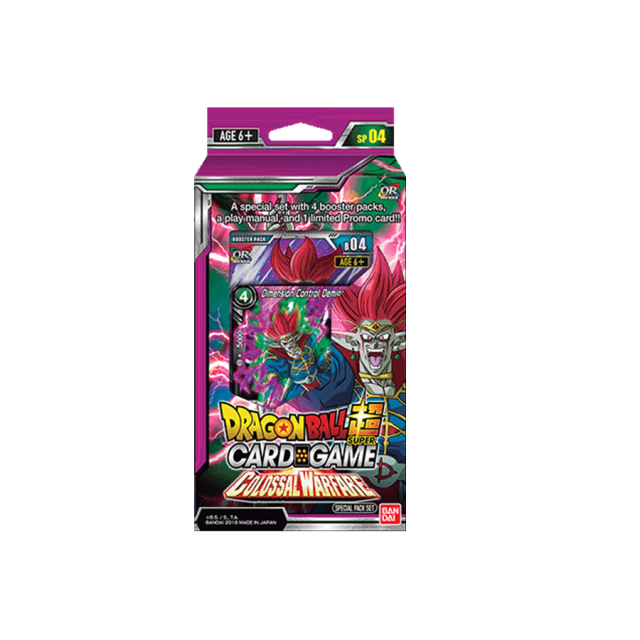 SPECIAL PACK SET DRAGON BALL SUPER CARD GAMESPECIAL PACK SET～DESTROYER KINGS～【DBS-SP06】 Release date March 15 ,2019 Contents A special set with 4 booster packs,1 limited Promo card and 1 play manual!! *Release date may vary by region. 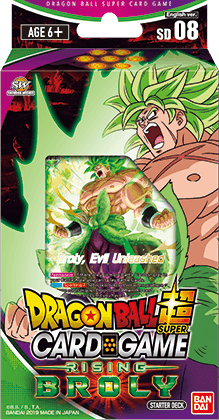 STARTER DECK DRAGON BALL SUPER CARD GAMESTARTER DECK～RISING BROLY～【DBS-SD08】 Release date March 15, 2019 Contents Starter Deck includes 50cards and1 Leader card as a deck style to startthe game, 1 play sheet and 1 play manual.Includes 10 starter deck-exclusive cards! *Release date may vary by region. 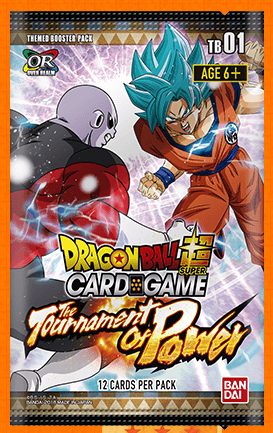 DRAGON BALL SUPER CARD GAMEThemed Booster pack～The Tournament Of Power～【DBS-TB03】 Release date January 18,2018 Contents 1 Booster pack contains 12 cards each.1Box contains 24booster packs Rarity Total 125 cards30 Commons(normal or foil.ver)/18 Uncommons(normal or foil.ver)/10 Rares / 6 Super Rares /8 Special Rares / 1 Secret Rare /4 Feature Rares About Themed Boosters Unlike boosters from normal sets, these boosters contain cards that all follow a set theme... In this case, "The Tournament of Power"! Themed Boosters contain all the cards you need to build a deck, making them a great starting point for new players! 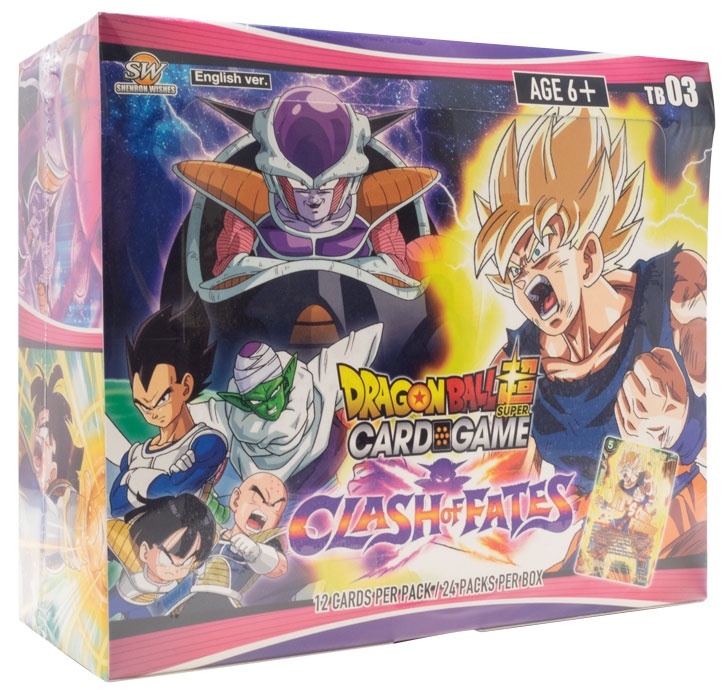 Build a deck with your favorite characters and recreate the epic battles from the anime! 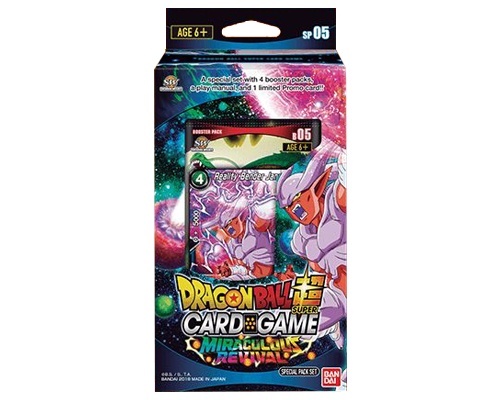 BOOSTER BOX DRAGON BALL SUPER CARD GAMEBooster Pack～MIRACULOUS REVIVAL～【DBS-B05】 Release date November 9 ,2018 MSRP 3.99$ Contents 1 Booster pack contains 12 cards each.1Box contains 24booster packs Rarity Total 221 cards60 Commons(normal or foil ver. )/30 Uncommons(normal or foil ver. )/18 Rares / 11 Super Rares/11 Special Rares / 1 Secret Rare *Release date may vary by region. 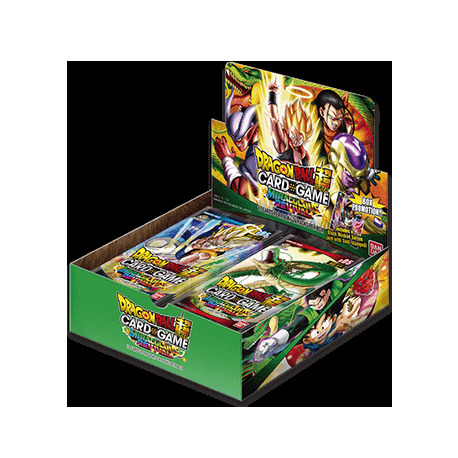 1 Leader Card (Alternative art version) +6 booster packs (Series 5) +1 Tournament pack (Vol.5)*Package can be used as a storage box. 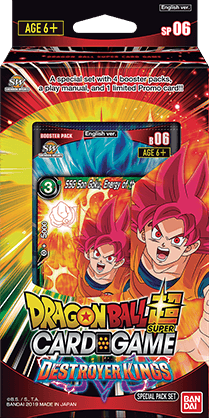 DRAGON BALL SUPER CARD GAMESPECIAL PACK SET～MIRACULOUS REVIVAL～【DBS-SP05】Release dateNovember 9 ,2018ContentsA special set with 4 booster packs,1 limited Promo card and 1 play manual!! 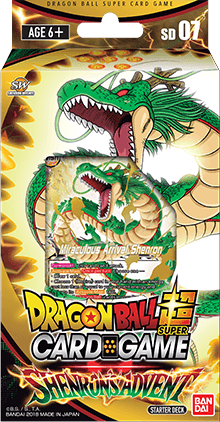 Dragon Ball Super Card Game Starter DISPLAY 06STARTER DECKDRAGON BALL SUPER CARD GAMESTARTER DECK～SHENRON'S ADVANT～【DBS-SD07】Release dateNov. 2,2018ContentsStarter Deck includes 50cards and1 Leader card as a deck style to startthe game, 1 play sheet and 1 play manual. 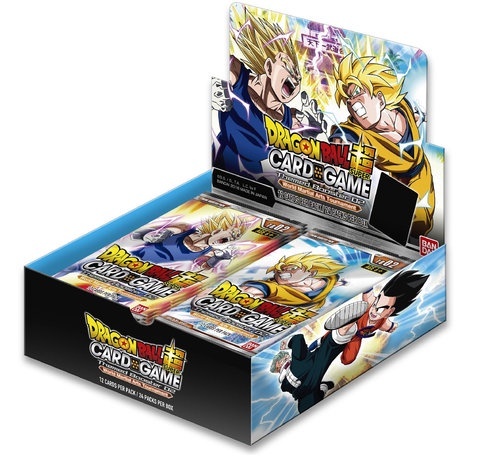 Includes 5 starter deck-exclusive cards! 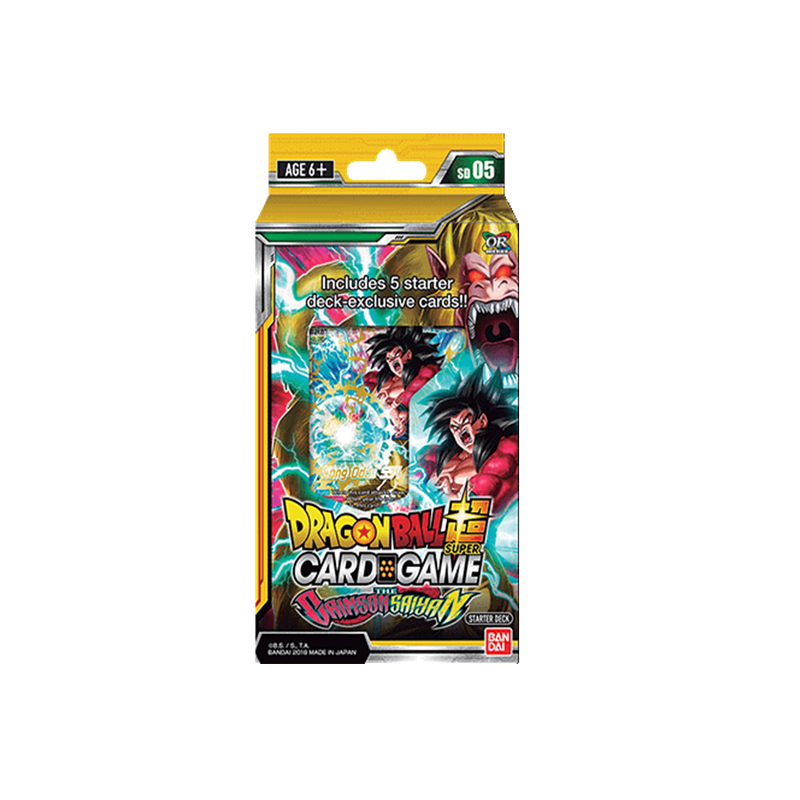 Dragon Ball Super Card Game Starter DISPLAY 06STARTER DECKDRAGON BALL SUPER CARD GAMESTARTER DECK～RESURRECTED FUSION～【DBS-SD06】ContentsStarter Deck includes 50cards and1 Leader card as a deck style to startthe game, 1 play sheet and 1 play manual. 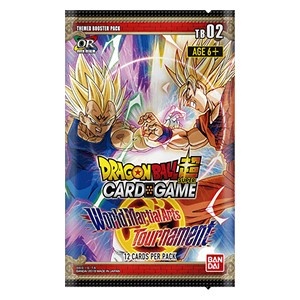 Includes 5 starter deck-exclusive cards! 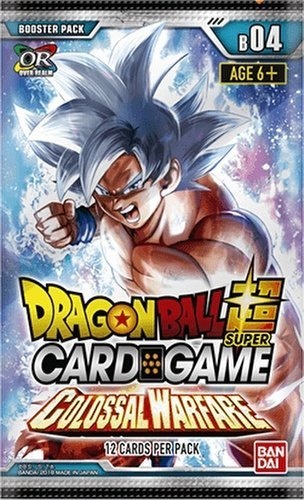 DRAGON BALL SUPER CARD GAMESPECIAL PACK SET～COLOSSAL WARFARE～【DBS-SP04】 Contents A special set with 4 booster packs,1 limited Promo card and 1 play manual!! 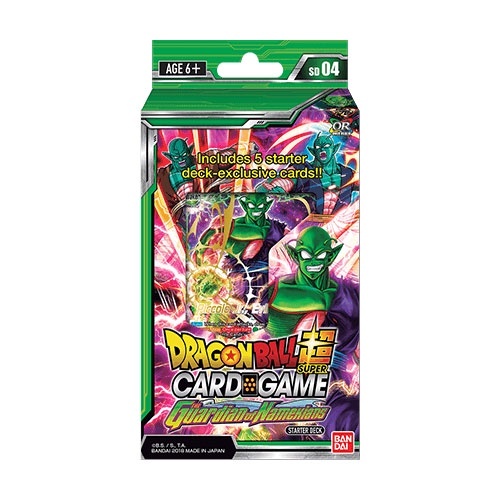 DRAGON BALL SUPER CARD GAMESTARTER DECK～The Guardian of Namekians～【DBS-SD04】 Contents Starter Deck includes 50cards and1 Leader card as a deck style to startthe game, 1 play sheet and 1 play manual.Includes 5 starter deck-exclusive cards! 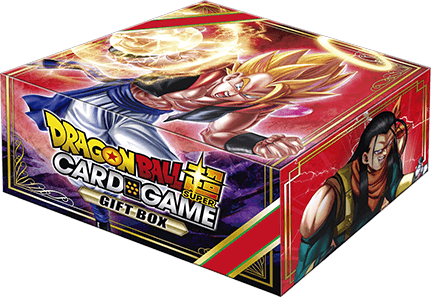 DRAGON BALL SUPER CARD GAMESTARTER DECK～The CRIMSON SAIYAN～【DBS-SD05】 Release date ETA July 13,2018 Contents Starter Deck includes 50cards and1 Leader card as a deck style to startthe game, 1 play sheet and 1 play manual.Includes 5 starter deck-exclusive cards! Orders will be shipped out on release day. 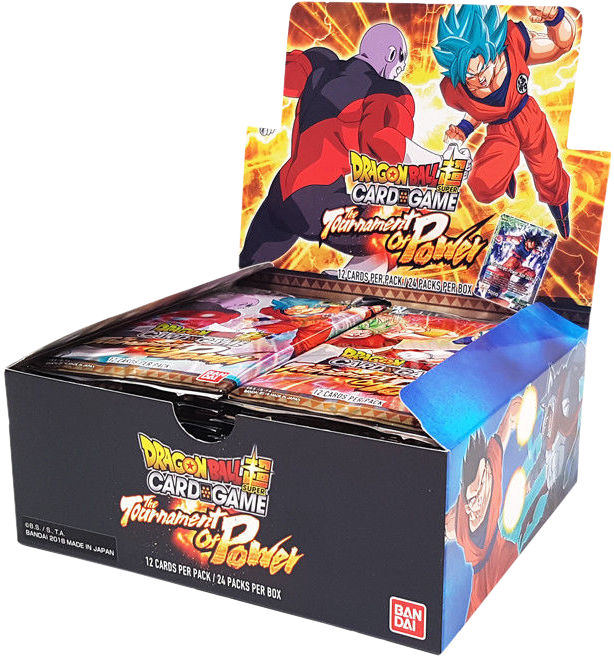 DRAGON BALL SUPER CARD GAMEThemed Booster pack～The Tournament Of Power～【DBS-TB01】 Release date May 25,2018 1 Booster box contains 24 packs each. 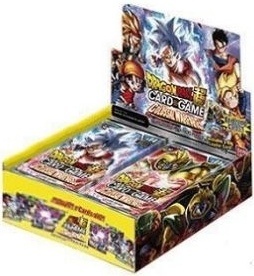 Set Total 176 cards45 Commons(normal or foil.ver)/30 Uncommons(normal or foil.ver)/12 Rares / 9 Super Rares /4 Special Rares / 1 Secret Rare About Themed Boosters Unlike boosters from normal sets, these boosters contain cards that all follow a set theme... In this case, "The Tournament of Power"! Themed Boosters contain all the cards you need to build a deck, making them a great starting point for new players! 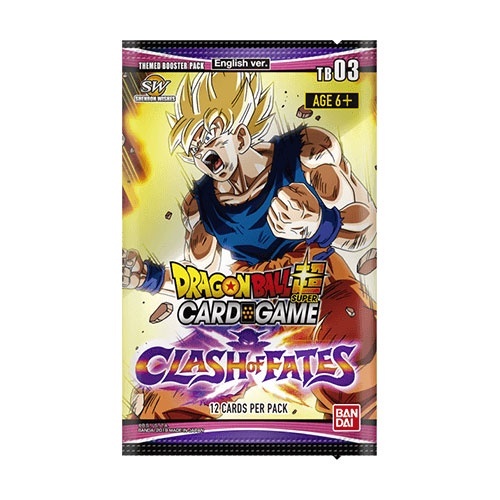 Build a deck with your favorite characters and recreate the epic battles from the anime! 1 Booster pack contains 12 cards each. Set Total 176 cards45 Commons(normal or foil.ver)/30 Uncommons(normal or foil.ver)/12 Rares / 9 Super Rares /4 Special Rares / 1 Secret Rare About Themed Boosters Unlike boosters from normal sets, these boosters contain cards that all follow a set theme... In this case, "The Tournament of Power"! Themed Boosters contain all the cards you need to build a deck, making them a great starting point for new players! 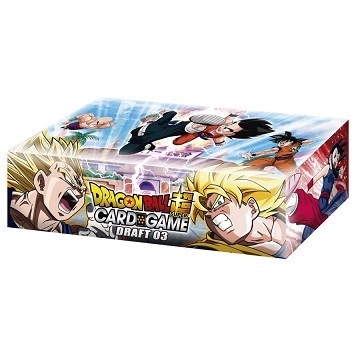 Build a deck with your favorite characters and recreate the epic battles from the anime!